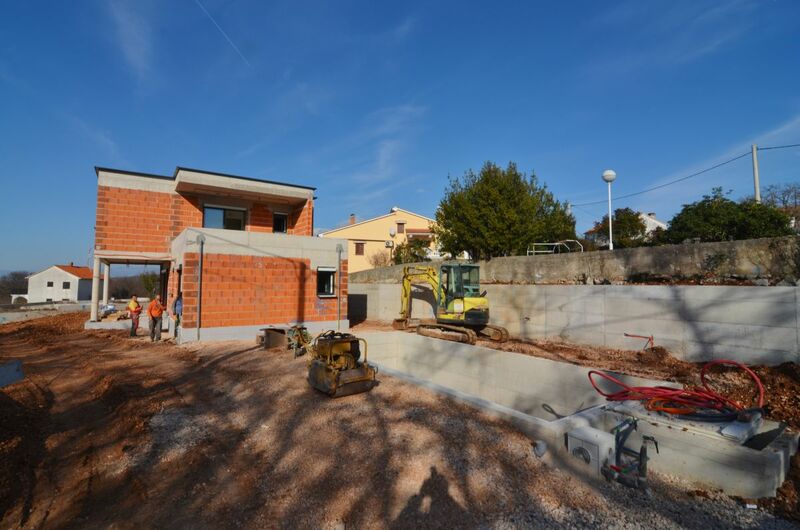 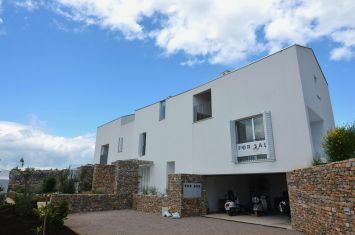 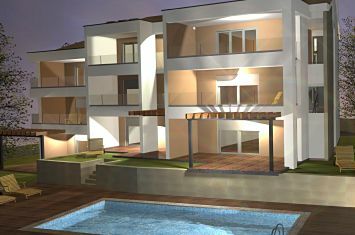 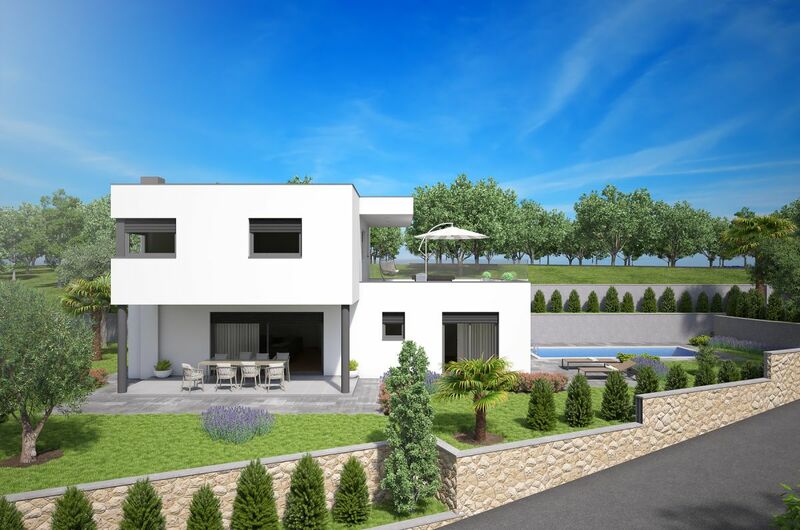 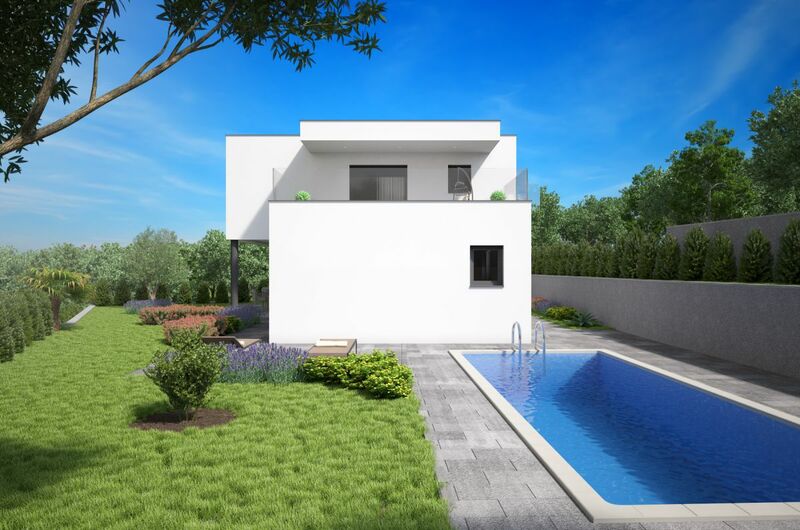 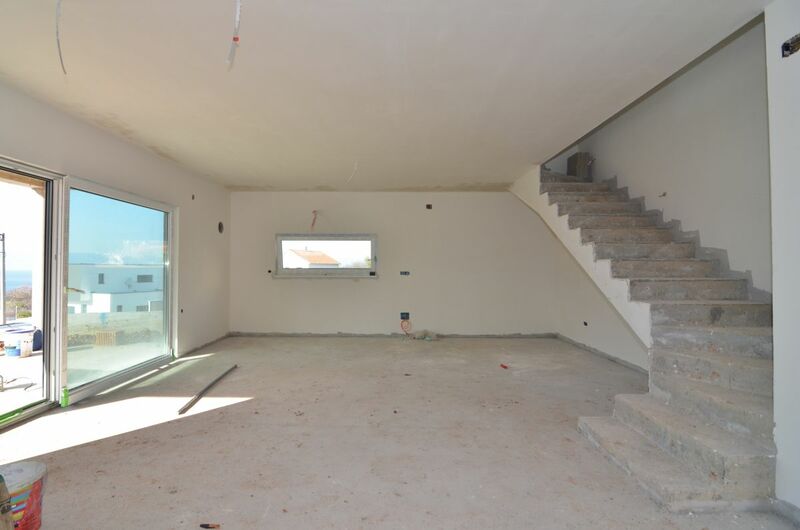 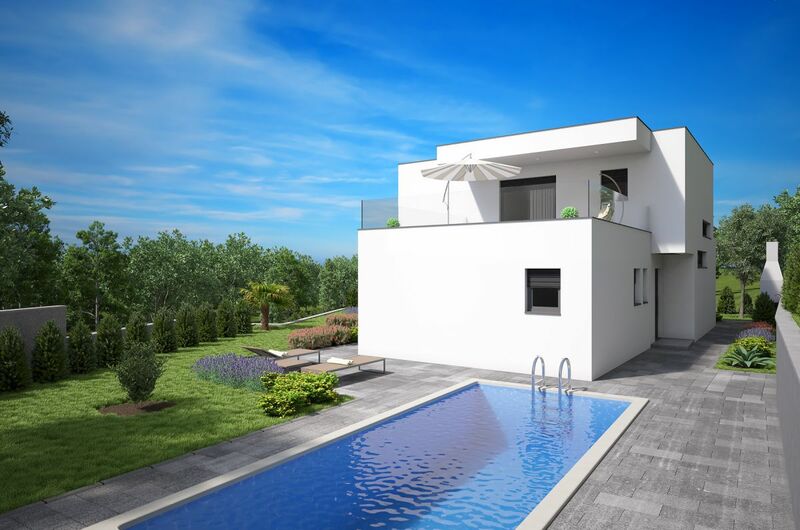 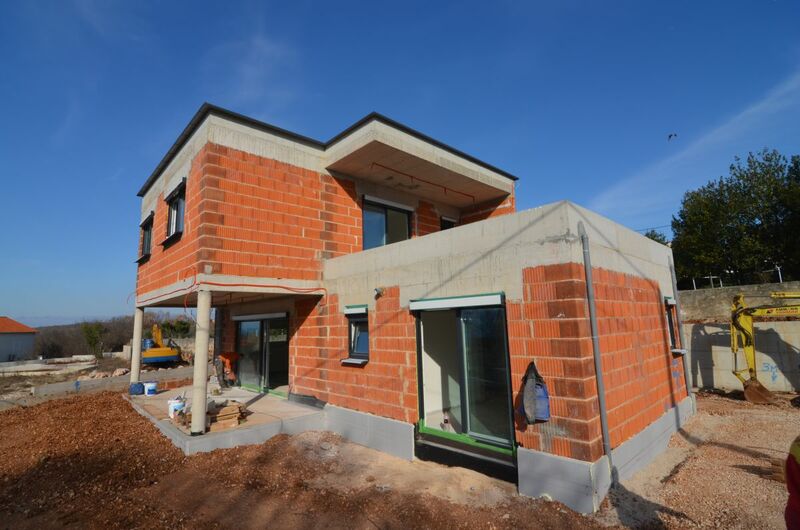 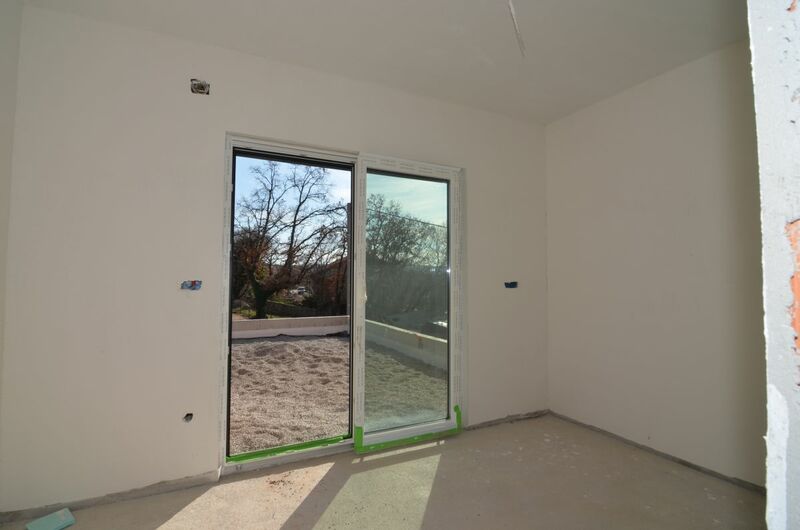 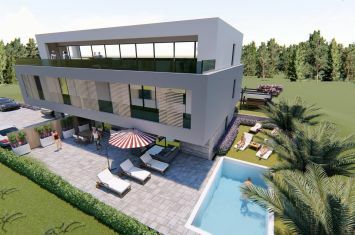 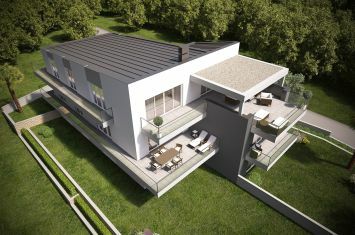 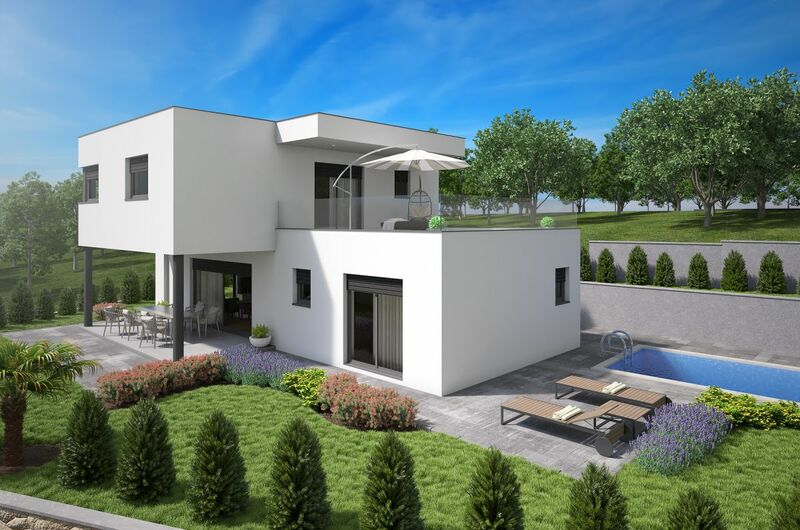 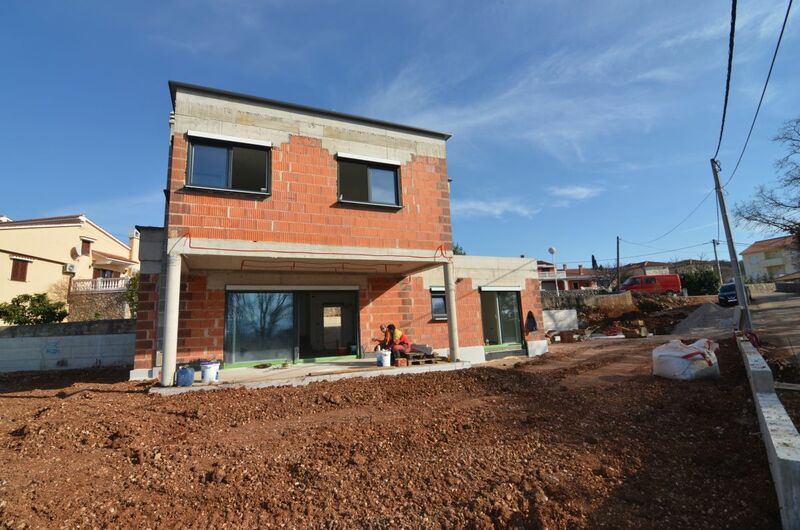 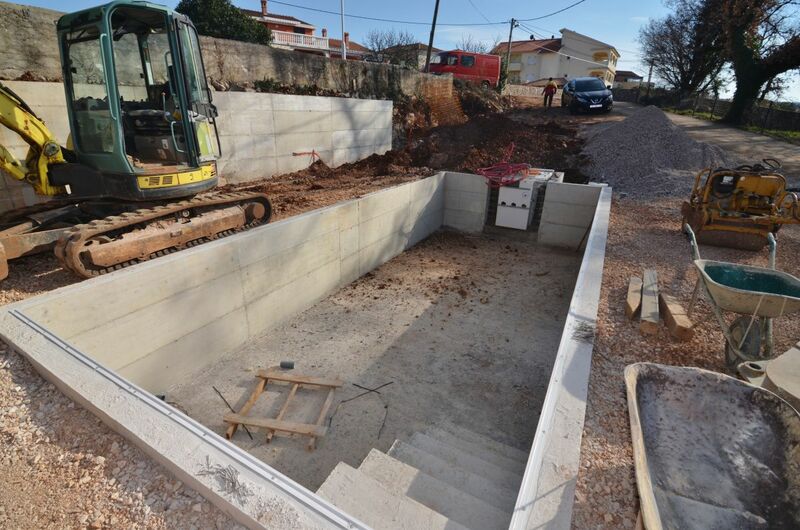 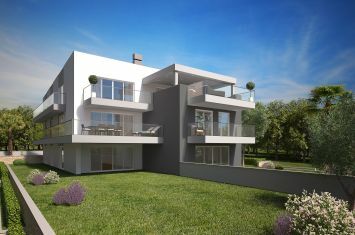 Maisons - Malinska - NEW VILLA WITH POOL AND PANORAMIC SEA VIEW! 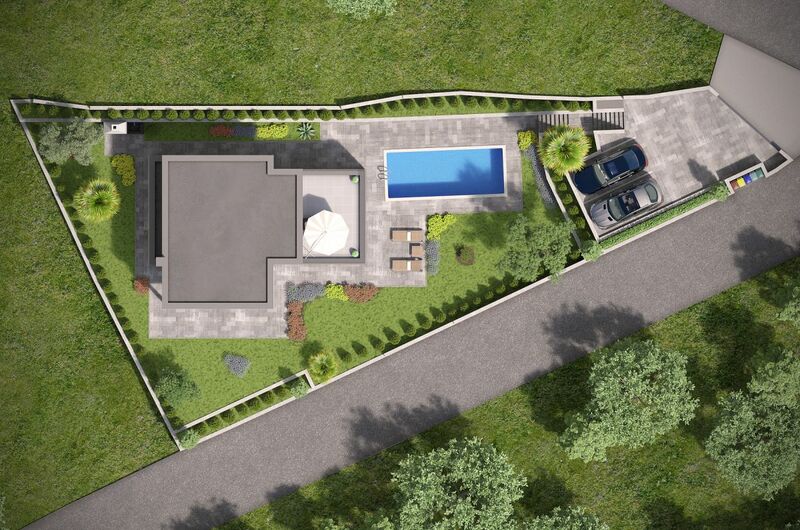 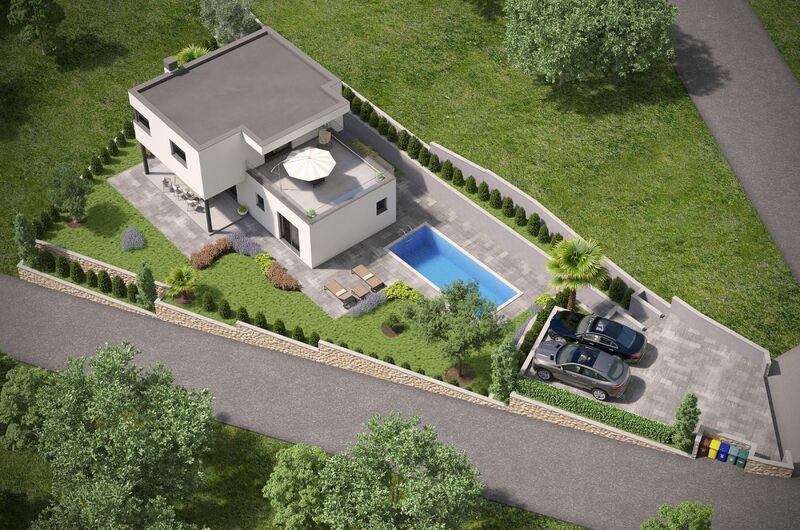 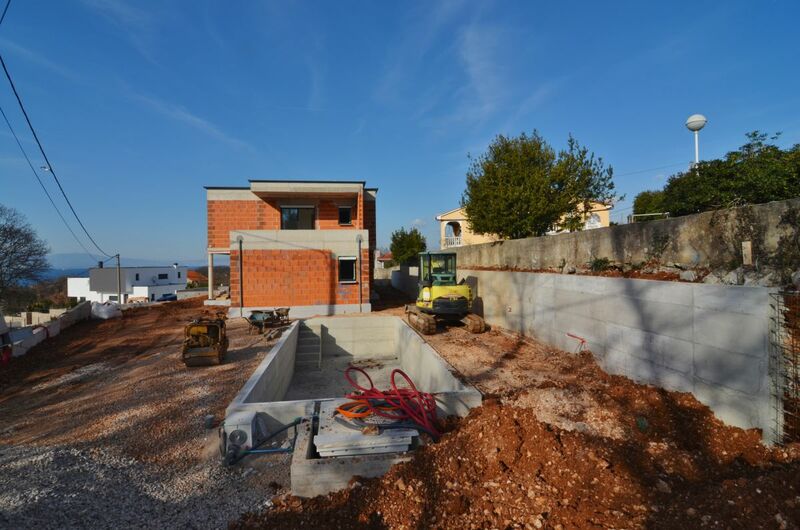 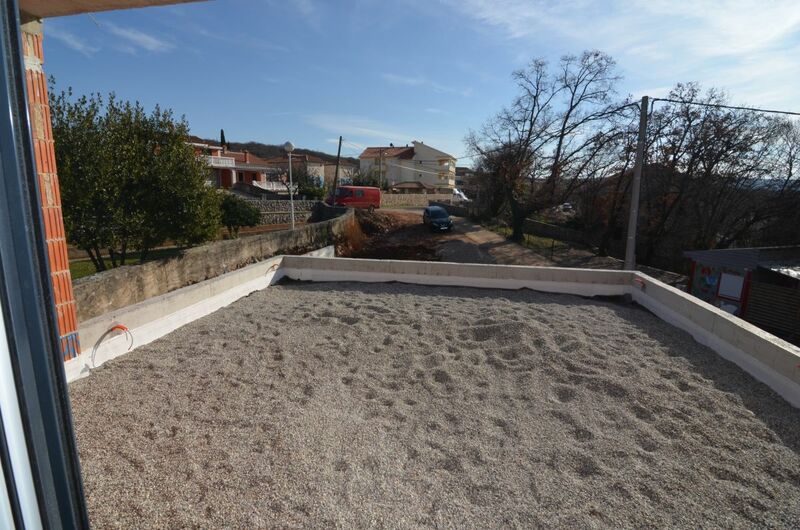 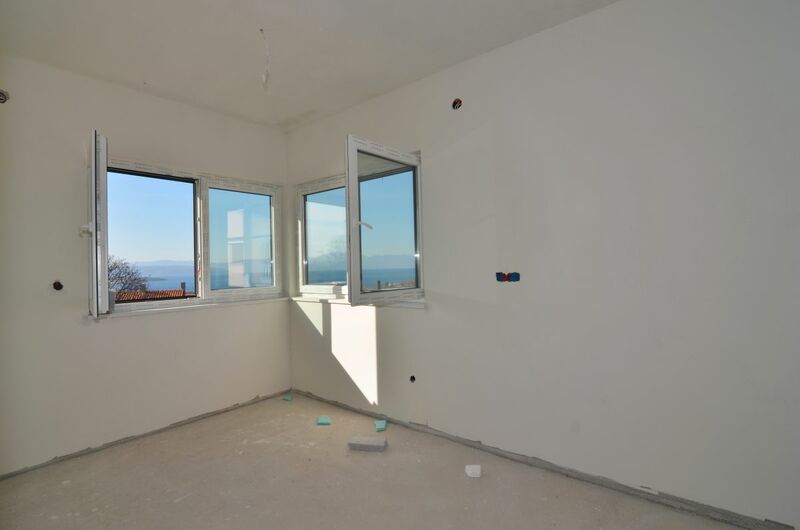 The island of Krk, Malinska, wider area, new villa surface area 154,62 m2 for sale, with a panoramic sea view, swimming pool of 36 m2 and landscaped garden, on a plot of 672 m2. 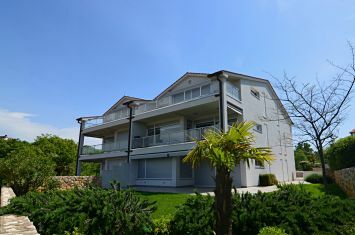 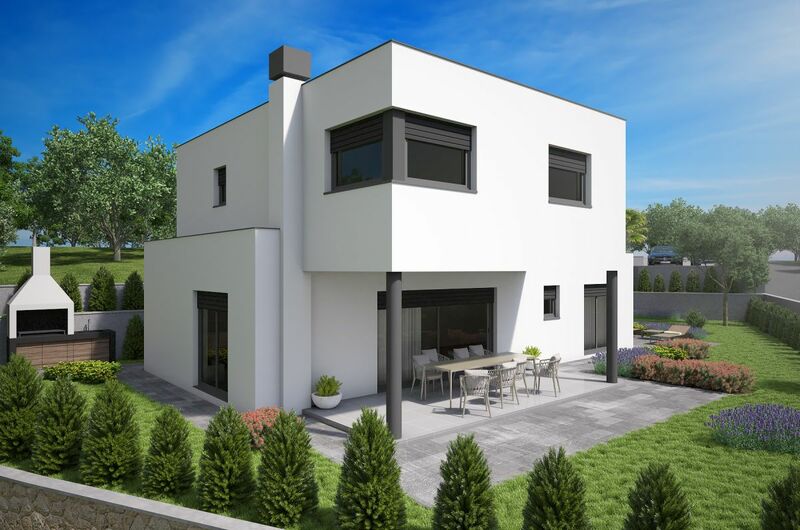 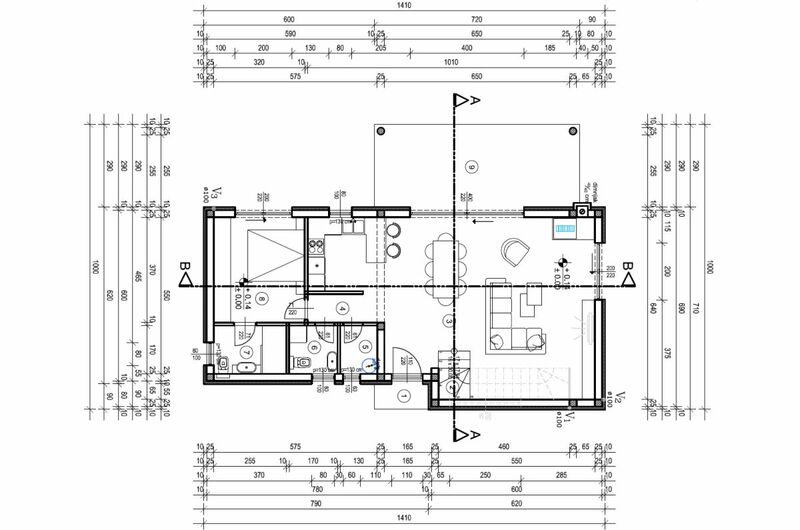 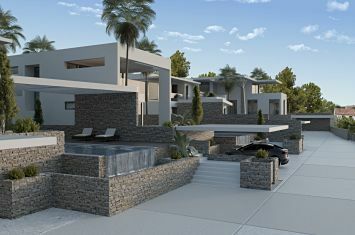 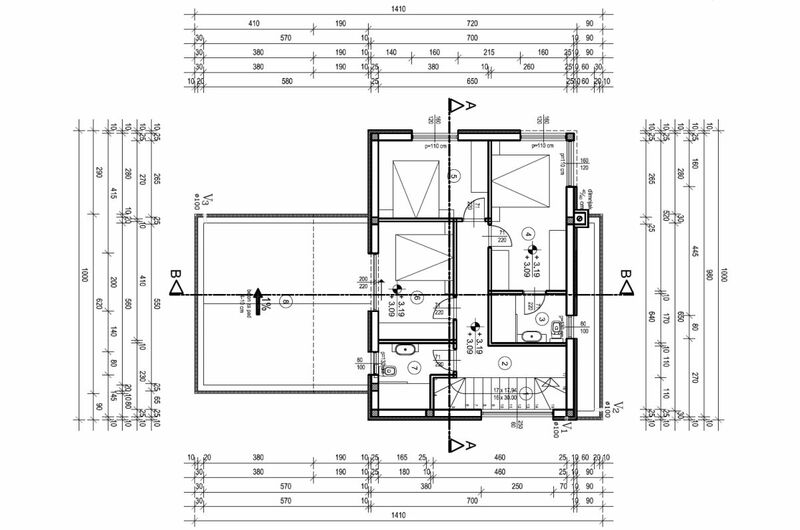 The villa consists of ground floor with a covered entrance, living room, kitchen and dining area, hallway, one bedroom with private bathroom, pantry, toilet, staircase and covered terrace of 20.46 m2, and first floor with three bedrooms, two bathrooms, corridor and terrace of 31.92 m2. 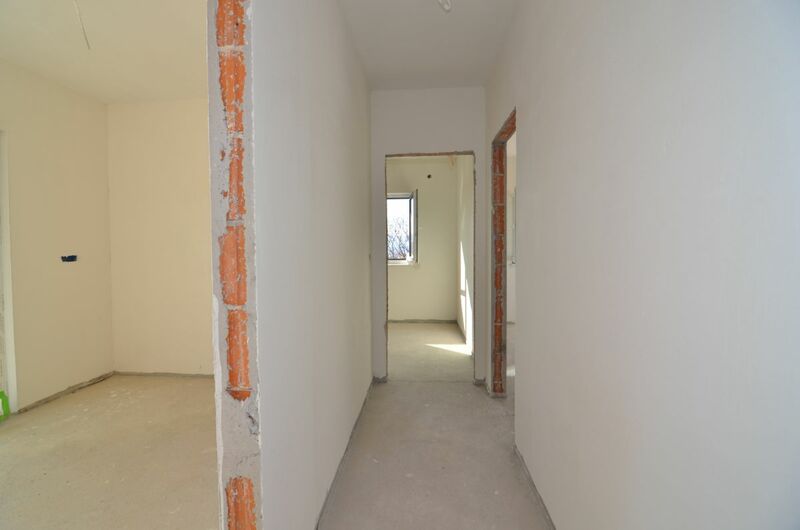 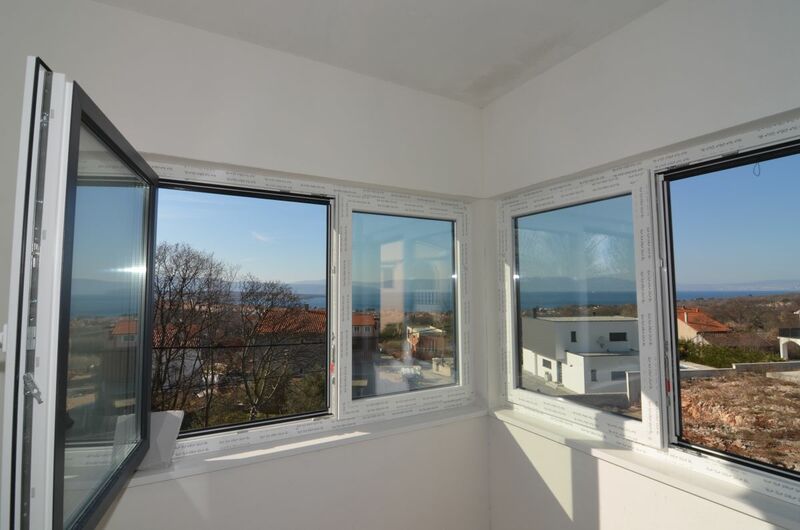 High quality construction and equipment, A energy certificate, air conditioning, underfloor heating of all rooms, three parking spaces. 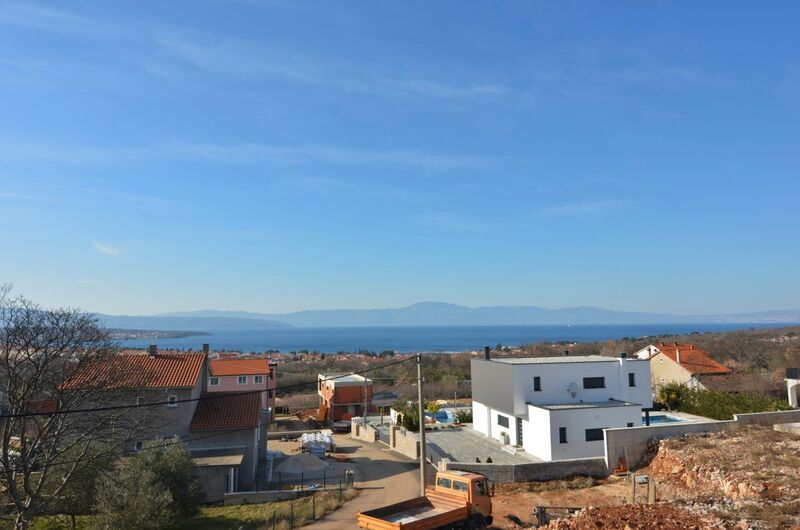 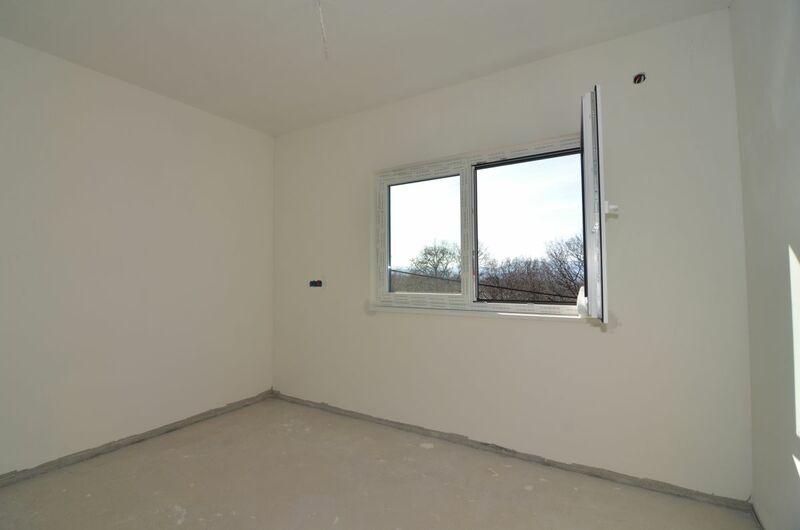 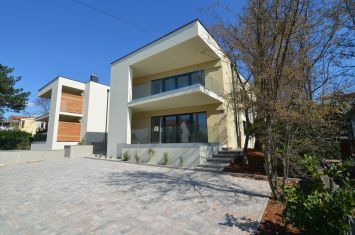 Quiet location, 1000 m from the sea and center of Malinska.